Study shows cerebrospinal fluid signals control the behaviour of stem cells in the brain. Stem cells are non-specialized cells found in different organs, which have the capacity to generate specialized cells in the body. 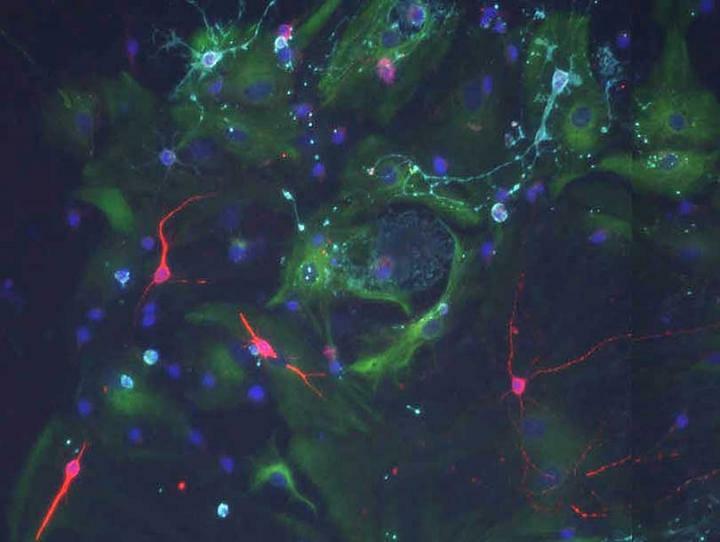 In the adult brain, neural stem cells give rise to neurons throughout life. The stem cells reside in unique micro-environments, so-called niches which provide key signals that regulate stem cell self-renewal and differentiation. Stem cells in the adult brain contact the ventricles, cavities filled with cerebrospinal fluid (CSF), which is produced by the choroid plexus. Now, a study from researchers at the University of Basel shows that the choroid plexus is an important regulator of adult neural stem cells. The team state that their findings show signals secreted by the choroid plexus dynamically change during aging which affects aged stem cell behaviour. The opensource study is published in the journal Cell Stem Cell. Previous studies show that stem cells reside in specialized niches that support their lifelong maintenance. Stem cell niches undergo dynamic changes in response to different physiological states, including aging; however, little is known about how these extrinsic changes affect stem cell behaviour. The current study shows that the choroid plexus is a key component of the stem cell niche, whose properties change throughout life and affect stem cell behaviour. The current study shows that the choroid plexus secretes a wide variety of important signaling factors in the CSF, which are important for stem cell regulation throughout life. The lab explain that during aging, the levels of stem cell division and formation of new neurons decrease. Results show that although stem cells are still present in the aged brain, and have the capacity to divide, they do so less, due in part to the signals in the old choroid plexus being different. Data findings show that as a consequence stem cells receive different messages and are less capable to form new neurons during aging. Results show that the lateral ventricle choroid plexus, in addition to performing important homeostatic support functions, secretes factors that promote colony formation and proliferation of adult neural stem cells. Data findings show that the functional effect of the choroid plexus secretome changes throughout the lifespan, with activated neural stem cells being especially sensitive to age-related changes. The group state that transcriptome analysis identified multiple factors that recruit colony formation and highlights novel facets of choroid plexus function. They go on to conclude that the choroid plexus is a key niche compartment that translates physiological changes into molecular signals directly affecting neural stem cell behaviour. The team surmise that their findings show that the lateral ventricle choroid plexus is a novel niche component for adult neural stem cells and their progeny, which exhibits dynamic changes with aging. For the future, the researchers state that they now plan to investigate the composition of the signaling factors secreted by the choroid plexus, as well as how these change in different states and affect neural stem cells; which could provide new paths for altering brain function in health and disease. When stem cells from the old brain are cultured with signals of a young choroid plexus they can divide and form new neurons (red). Credit: Biozentrum, University of Basel.